After two lackluster efforts, Batman v Superman: Dawn of Justice and Suicide Squad, the DC Extended Universe (DCEU) has seen more than its fair share of controversy. With their important ensemble adventure Justice League currently in production, the entire DCEU has come under fire once again, with actress Margot Kidder issuing a harsh statement about the new films. She obviously knows this universe quite well, since she is best known for playing Lois Lane in Richard Donner's 1978 classic Superman and its subsequent sequels. The contemporary version of Lois Lane is played by five-time Oscar nominee Amy Adams, who has been well-received as this intrepid reporter in 2013's Man of Steel and this year's Batman V Superman. 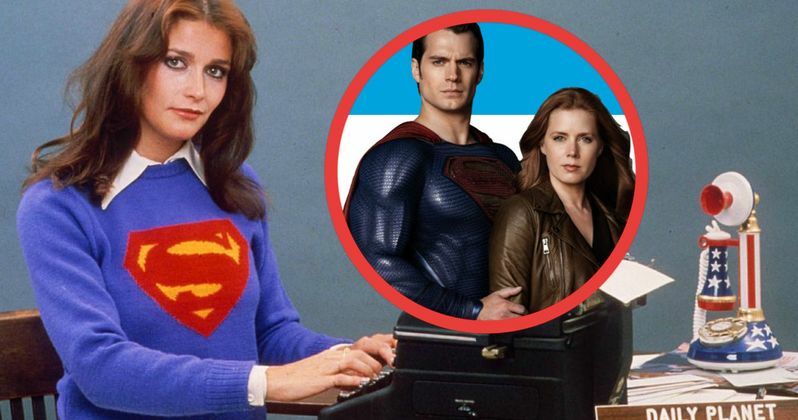 Hey U Guys caught up with Margot Kidder, who is clearly a fan of Amy Adams, but doesn't like how this Lois Lane character is portrayed in the new movies. Here's what she had to say below. "They took one of the best American actresses' around, Amy Adams, and didn't give her anything to do! I mean, how stupid is that? They made her what used to be the girlfriend, which kind of ended in the 60s with women's rights." Amy Adams is returning as Lois Lane in next year's Justice League, which is currently filming in the U.K. It isn't clear how large or small her role is in this superhero adventure, especially since it brings together the entire superhero team. Batman (Ben Affleck) and Wonder Woman (Gal Gadot) will bring heroes The Flash (Ezra Miller), Aquaman (Jason Momoa) and Cyborg (Ray Fisher) into the fold, following the "death" of Superman (Henry Cavill) at the end of Batman v Superman. It isn't known how long he'll stay "dead" for, especially since the very last shot of Batman v Superman teased that he's still alive, after particles of dirt levitated off of his coffin. It's possible that Amy Adams will have a much bigger role this time around, which could tie into Superman's eventual resurrection. Then again, with three new heroes joining the fold, Lois Lane's role may be reduced, but since very little is known about the plot, we can't say for sure. It isn't known if Amy Adams will respond to Margot Kidder's comments at all.